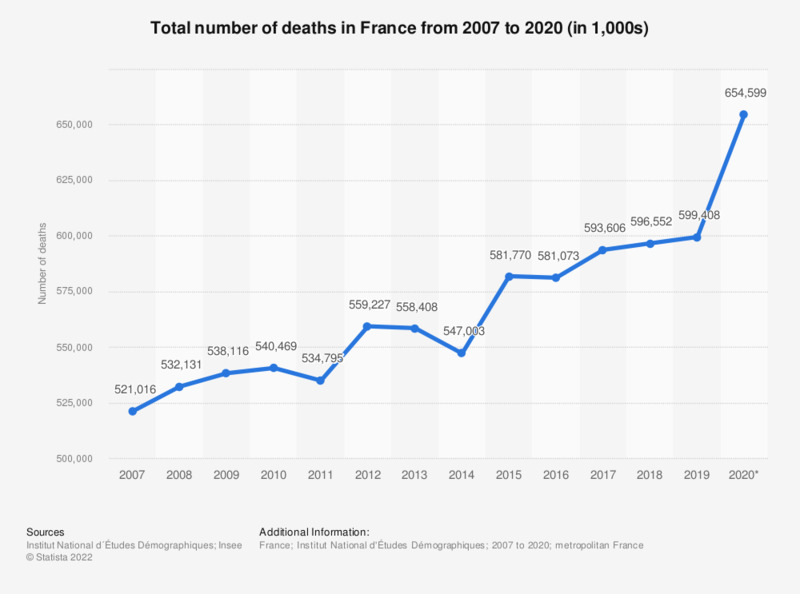 This statistic shows the total number of deaths in France from 2004 to 2018. The lowest number of deaths in France was reached in 2004, with 509,429 deaths. The highest number of deaths occurred in 2018 with 601,000 deaths.